Summer is a great time to get your family and friends together and enjoy some outdoor fun. With the weather at its peak, there’s lots of ways you can spend time outside right at home. Summer means grilling, bonfires, and more, but these activities come with inherent risks. Practicing safety when it comes to summertime activities is key in avoiding any sort of property damage or worse. Here are some steps you can take to make sure your warm-weather festivities aren’t ruined by any unfortunate disasters. Grilling is synonymous with summer and it’s likely you’ve already gotten it out for the year. While grilled items can be very tasty, make sure you’re using your grill responsibly. Keep a 10-foot clearing between your grill and anything that can catch fire – like deck rails, the side of the house, or plants. 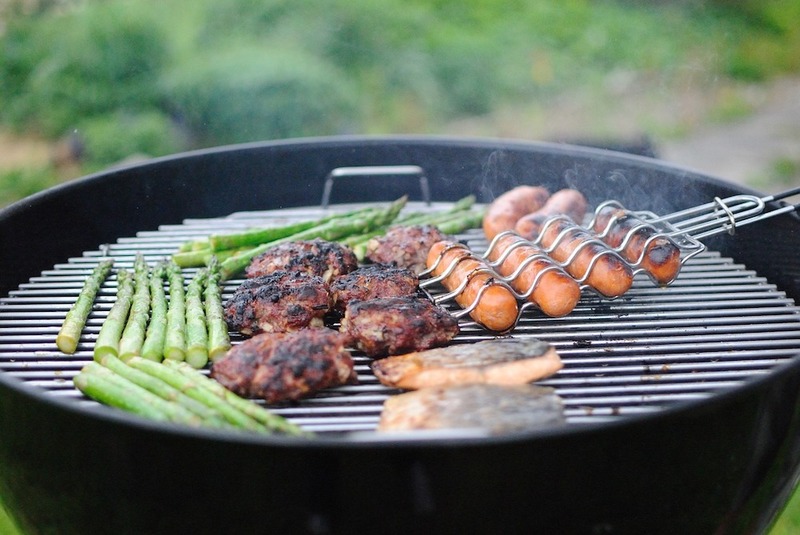 Whether you’re using charcoal or propane, you must practice safety. For charcoal, when you’re done grilling coals may be cool to the touch but still contain lots of heat inside. Be sure to cool the coals with cold water before leaving it unattended. With propane, turn off the main valve on the tank so you can avoid any potentially dangerous leaks. Avoid soft woods because they can pop and injure. Use caution and never leave a fire unattended. Along with fires, fireworks can be an enjoyable part of summer celebrations, providing your state allows private use of them. If you’re going to be setting fireworks off this season, treat them as any other flammable substance. Be careful in which direction you aim any fireworks. Aim them away from structures and people and take into consideration weather conditions and potential fire conditions. Never approach a lit firework even if it seems to be a “dud.” Have water handy in case of any mishaps. Cooling off might be the first thing on everyone’s mind once the mercury starts rising, but you should be proactive in keeping your property safe from potential water damage. Whether you have a professional pool or you’re just using a blow-up version for the hottest summer days, make sure that you are filling them properly. Inspect hose bibs and any accessories to ensure there’s no leakage. Not only will this save money on your water bill, you won’t risk water damage to your home or surrounding areas. Having a great time this season doesn’t have to be boring, but always remember to take precaution when dealing with potentially hazardous materials. Water and fire damage can happen more easily than you think and if it does, call us for help. We can get your property back to pre-loss condition swiftly.